See What Our Patients Have Said About Us! Fast Clinical Weight Loss always appreciates feedback from our valued patients. To date, we’re thrilled to have collected 20 reviews with an average rating of 4.85 out of 5 stars. Please read what others are saying about Fast Clinical Weight Loss below, and as always, we would love to collect your feedback. Dr Oliver was so nice along with the all the staff member. I have been struggling with losing weight for some time. I began seeing results immediately. Dr. Oliver and staff are extremely pleasant and helpful. 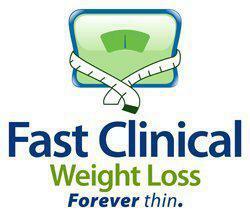 I highly recommend Fast Clinical Weightloss for your weight issues. Dr Oliver and his staff are the best. They help me so much dealing with my weight management. Lydia is a swetheart ver y helpful. Great customer service. I highly recommend this clinic. Awesome I was in and out very quickly. The ladies there are always super nice. Everyone was super nice! Very helpful and didn’t judge... the doctor was very friendly and didn’t come off rude at all. I would recommend to anyone needing help!! It’s nice to have a doctor who knows how to motivate you when you need it. The nicest dr and nurses I’ve ever met. Very professional and motivating . ! Very nice staff, excited to get my journey for weight loss going!!!! Everyone is always so nice and helpful. My experience was quick and to the point. I am looking forward to a smaller healthier me! The consultation was very succinct. The staff was nice! I have just started my journey with Dr Oliver and look forward to seeing the results. I always get excellent care with Dr. Oliver and staff. I highly recommend them. Very good service, products. Successful weight loss program. When I first came I was weighing 264lbs I’m down 40/50lbs, I still struggle with sweets but it’s a work in progress. I would recommend Dr. Oliver’s office to anybody that struggle with weight loss cause I had tried different programs and nothing worked..... I give Dr. Oliver 5 stars, Thanks for all you do.